There are plenty of apps out there right now that can give you a jumpstart toward increasing your blog readership. 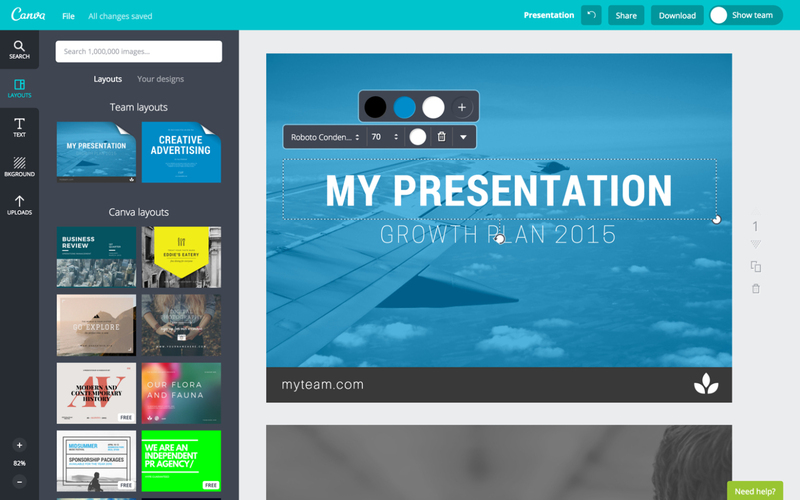 Canva is the perfect tool for marketers who aren't professional designers. Shareist allows you to browse tons of feeds in search for the best posts to share on social media. Marketing your blog or website and creating a brand image requires an innate savviness. It can be difficult to create a message that resonates with customers. However, there are plenty of apps out there right now that can give you a jumpstart toward increasing your blog readership. It isn’t enough to just have one strategy for marketing your blog; you have to use multiple channels. Luckily, there are several tools that can help. From content creators to integrated feeds, there are ways to simplify almost every aspect of your blog traffic management and marketing. There are ways to simplify almost every aspect of your blog traffic management and marketing. Buffer is an app that will allow you to view all of your social networks in one place. You can schedule hundreds of posts ahead of time, which makes it easy for you to keep up with a regular social media posting schedule. Premium members can also link RSS feeds to their social media profiles and share content directly from feeds — it speeds up the process of managing social media. BuzzSumo has many uses, but I will concentrate on my favorites. The Trending tab is a smart way to generate new content ideas, find third-party links to share on social media and identify real-time marketing opportunities. The Top Content tab helps me generate ideas and stories, and the Influencers tab provides a list of top influencers based on the topic or keyword you choose. This last tab helps me reach the most relevant and influential people relating to every article I publish. Attractive images will help your social media conversion, page engagement and SEO. The problem is that most royalty-free image services are expensive. I found Photo Dollar Club to have a substantial collection of images and the best ROI. Searching for an image is easy, and in a few seconds, I find the right one. Canva is the perfect tool for marketers who aren’t professional designers. It can take me up to 20 minutes to design blog graphics, presentations, banners, flyers, posters and invitations. Canva has an easy search option, drag interface and the ability to choose from thousands of templates. The human brain processes graphic information 60,000 faster than plain text, and 90 percent of the information that is transmitted to the brain is visual — yet another reason it’s important for you to have stunning designs. Shareist allows you to browse tons of feeds in search for the best posts to share on social media. You can do a specific search for your needs, then organize the content you find in a library. This platform will help you set a complete social media schedule, and it can even save content to recycle when you run out of material for new posts. Shareist also allows you to store content for later use in other mediums. Skyword connects your business with content creators in order to develop high-quality articles and other material to help market your site. With Skyword, you also get access to graphic designers, videographers and an entire library of photos, all of which let you create an entirely cohesive brand that is both visual and well-written. Skyword also focuses on continual promotion of your brand and developing an overarching concept that you can continue to use for your brand for the long haul. Beneficial for blogs in particular, this service allows you to add extra content (like music quotes, videos, links, etc.) to images to make them unique and multi-dimensional. Easy and fun to use, ThingLink is a way to create content that will really engage your readers. After creating the image on your site or app, just embed it in your blog, Facebook, Tumblr or other social media platform. In addition to being a noteworthy blog tool, ThingLink is fun to use because you can comment on other people’s photos and follow your favorite image creators. Issuu is an online tool that allows you to create magazines and booklets that are professional and visually appealing. These are an excellent way to jazz up your site and provide your readers and customers with some exclusive and fun content. After you generate your content, it’s automatically distributed via Issuu’s various channels, which can help grow your audience. There are different price plans depending on your individual needs. For example, you can choose a free plan for minimal use, or you can make Issuu documents a regular feature on your blog with a premium plan. Pocket is an app that allows you to save content from almost any other platform to read or use later. It’s perfect for bloggers because you can download a selection of interesting content to go through, hand-pick the exact material that you would like to use for your blog, or just use it for inspiration. You can access it even when you are offline, so when you are flying or anywhere else without internet access, you can still browse the app. And if you use WordPress, you can add a “read it later” Pocket button for your convenience. MindNode is a tool that helps you create visually appealing and organized mind maps with minimal effort. All you have to do is enter your ideas into the app, and it will help create the map for you, which will cut your brainstorming time down significantly. You can use MindNode to organize all of the content for your blog, schedule posts and use social media to create new ideas. You can also save content from MindNode to the cloud so that it’s always easily accessible. Trapit is a fantastic content discovery tool that is personalized to your needs and interests. It continually finds content relevant to keywords that you choose, and you can also select advanced filters to narrow things down even more. It then helps you curate content for your own blog and lets you broaden your reach by having affiliates share your posts. It will also schedule posts, auto-post and provide you with analytics. You don’t have to use all these tools, but using some of them will definitely help you boost your online traffic. Using some of them will help you boost your online traffic. What crucial tools did I miss? Please share in the comment section below. Omri Barzilay is the CEO at Propcy. You can follow him on his blog or Twitter.